The after Christmas sales have begun, and I wanted to share some of my favorite recently acquired treasures that happen to either be on sale or are sold at a great price to begin to with! 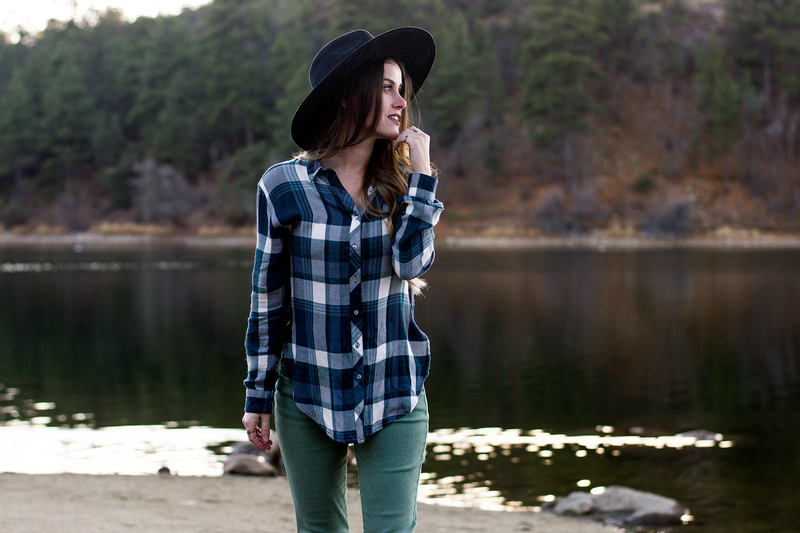 Living in Flagstaff, Arizona, flannels are a wardrobe staple for every student at NAU and local residents. I have become a connoisseur of plaid flannels, but without a doubt, this is one of the softest flannels I have ever owned. 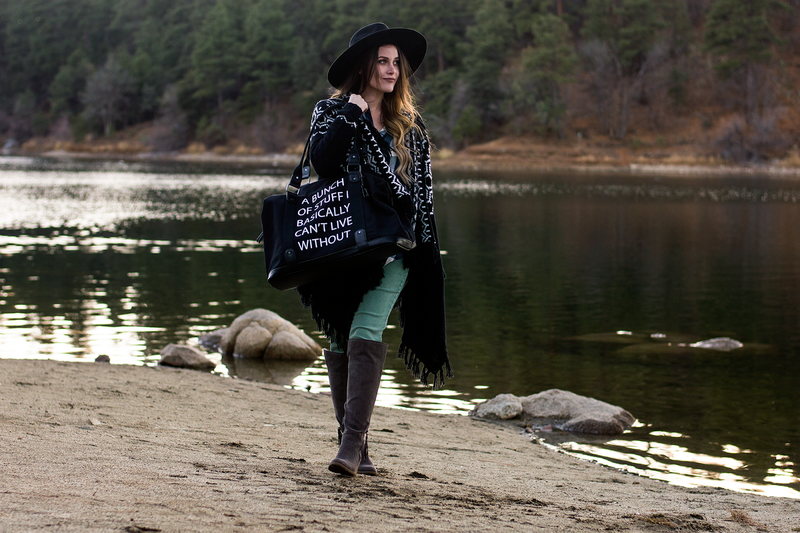 White Crow takes a classic closet piece and makes it the best it can be! 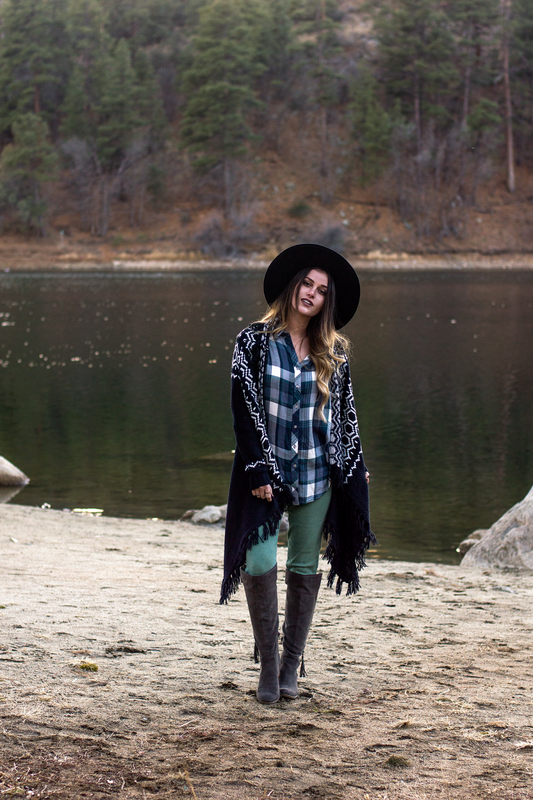 Another clothing essential for the colder weather is a cozy sweater! 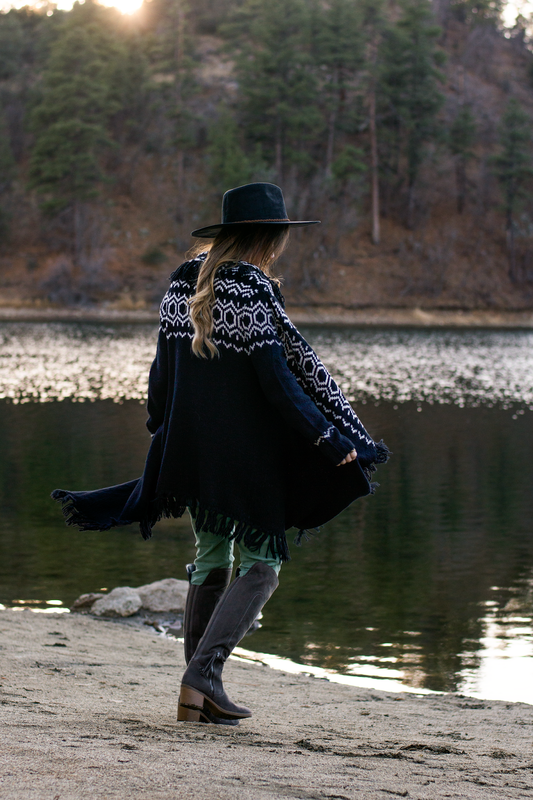 I love this fringed, Aztec print cardigan by Kersh Clothing. For bottoms, I wore the comfiest green jeans by Wild Blue Denim. The skinny cut of the jeans fit perfectly into the amazing, tall boots by indigo rd. For accessories, I went minimal on the jewelry with delicate rings and earrings. 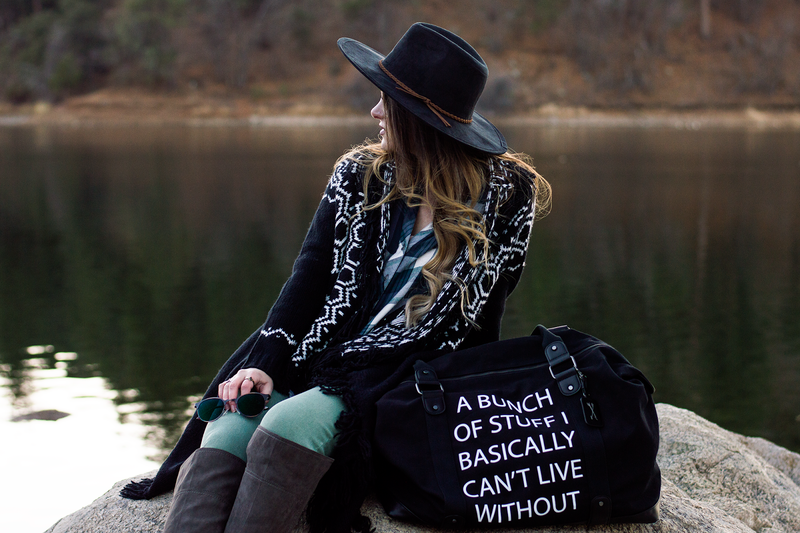 One of my favorite accessories is the weekender bag! Quality material with a sleek monochromatic color scheme and white type that says "A bunch of stuff I basically can't live without." 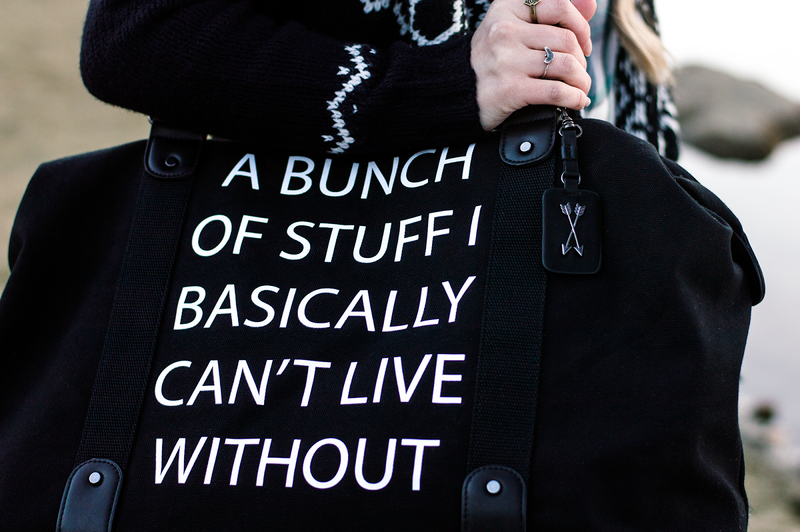 Hey, we always pack our essentials, right? For the sunglasses, I customized a pair of copper-color frames from Polette, a leader on the french market. 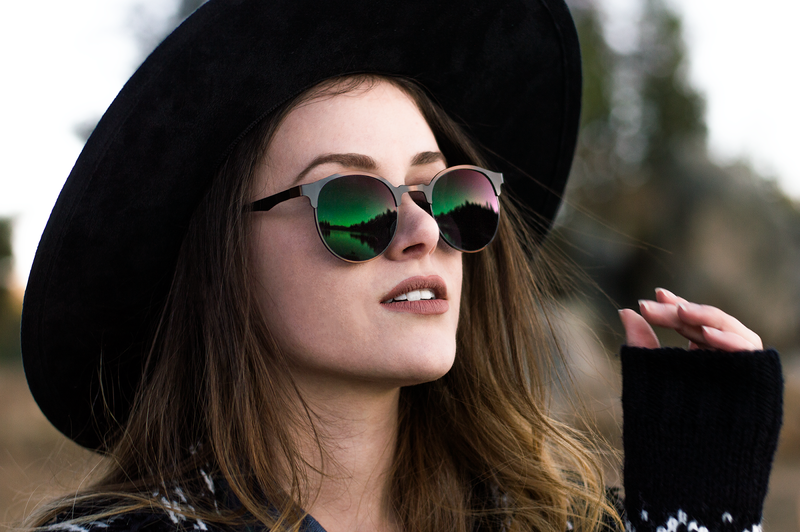 I chose 85% black lenses to make the eyeglass frames into sunglasses to combat the sun glare on the snow this winter. I love the rustic look of the neat copper frames. Another new treasure I acquired recently is a baby pink pair of wireless earbuds! I recently got an iPhone 7, so this accessory was essential! 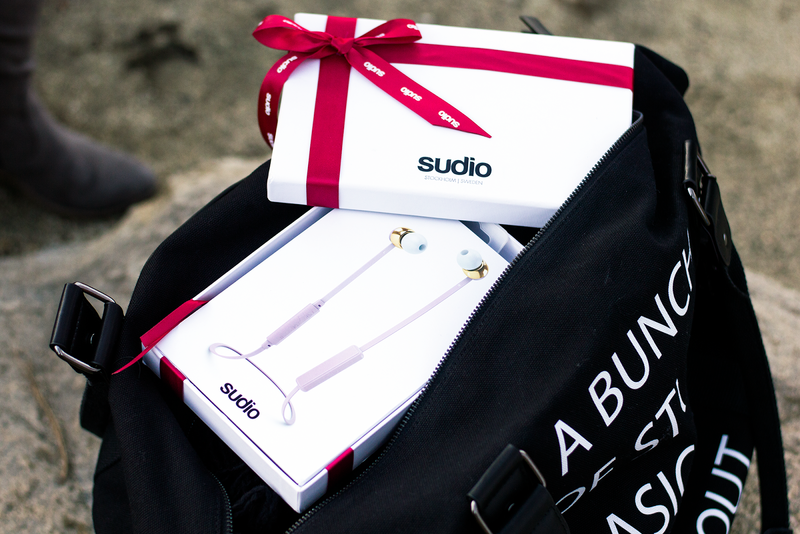 The earbuds’ features include Swedish premium design, exclusive leather case, studio quality sound, "anti-tangle" cable, 4 different earbud sizes, and long battery life! 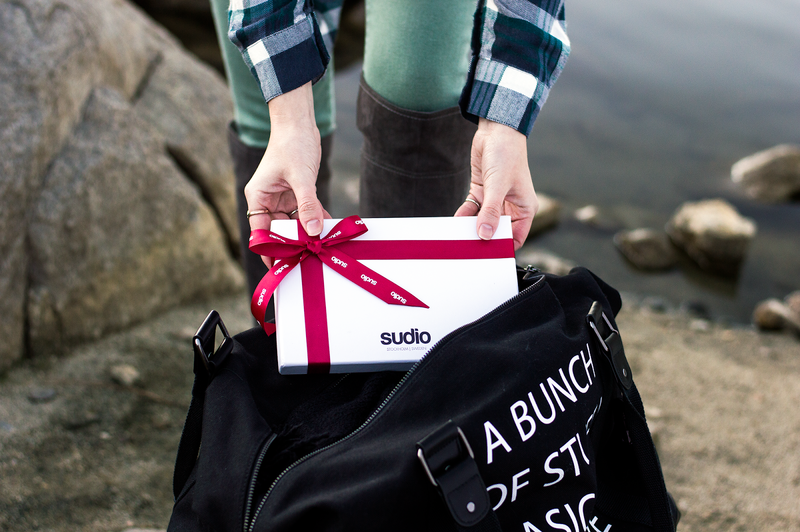 Sudio offers free shipping worldwide and, as a special treat for my readers, use code “ArizonaGirl” for 15% off sudiosweden.com!